Many people genuinely doubt God's love for all mankind and cite examples from the Old Testament to demonstrate how savage God appears to have been in the past, and therefore is likely to be in the future. Of all the examples used, the destruction of the whole world's population, less eight people, during the flood at the time of Noah is the most common. How can God be a God of love and yet destroy everyone? 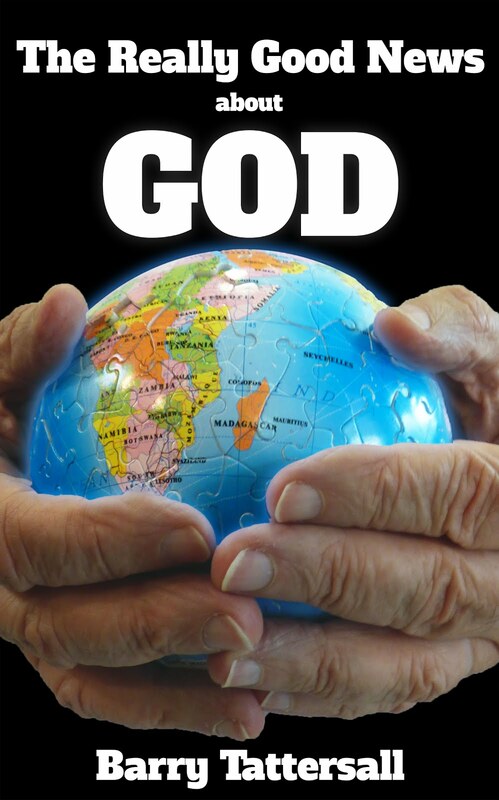 How can God, who is love, wipe the earth clean of almost all human beings in one fell swoop? These are reasonable questions which many people, including Christians, find difficult to answer in a satisfactory way. If we look at God's dealings with mankind through the lens of love, rather than through the lens of anger and punishment and vengeance, we will see a different picture than many suppose. In movies or television dramas we might hear a lawyer or attorney advising clients in a similar way so as not to risk providing more evidence against themselves or painting themselves in a worse light. Wise parents often advise their children to stay away from situations that would appeal to their weaknesses or make them susceptible to going astray. People who are alcoholics are advised to not even have one alcoholic drink; people who are compulsive gamblers are advised to stay away from places where gambling happens; children who are more followers than leaders are advised to stay away from those who would have a detrimental influence on their lives. It is wisdom and compassion that leads people to give this sort of advice to those they love. Given that those of us who leave this planet at the end of our lives unreconciled to God will need to be judged and spend time in a correction facility at the end of the ages, it was kind and merciful of God to prematurely remove from the planet those of Noah's generation who had made the world corrupt and full of violence before they could do even worse and be in need of an even more extreme and painful makeover. But for the moment those God destroyed were removed from the planet to prevent them making things worse for themselves or leaving them where they could not resist the temptation to continue in their sinful ways. This “clearing of the earth” was not the doings of a savage, vengeful God; it was the action of a loving and merciful God towards those he loves, not unlike that of a loving parent caring for his or her wayward children. 3 We ought always to thank God for you, brothers and sisters,[b] and rightly so, because your faith is growing more and more, and the love all of you have for one another is increasing. 4 Therefore, among God’s churches we boast about your perseverance and faith in all the persecutions and trials you are enduring. 5 All this is evidence that God’s judgment is right, and as a result you will be counted worthy of the kingdom of God, for which you are suffering. 6 God is just: He will pay back trouble to those who trouble you 7 and give relief to you who are troubled, and to us as well. This will happen when the Lord Jesus is revealed from heaven in blazing fire with his powerful angels. 8 He will punish those who do not know God and do not obey the gospel of our Lord Jesus. 9 They will be punished with everlasting (age-lasting) destruction and shut out from the presence of the Lord and from the glory of his might 10 on the day he comes to be glorified in his holy people and to be marveled at among all those who have believed. This includes you, because you believed our testimony to you. Barry is this about Israel AD 70 ??? or is about all of us??? Have made an insertion into the quoted text to fix up the awful translation. Re your question - AD70 or the end of the church age - ..... it could be either, depending on whether you're a preterist or a futurist. This scripture however seems a bit more likely to refer to the end of our age IMO because it is "the day he comes to be glorified in his holy people and to be marvelled at among all those who have believed." That sounds to me more like "the end of the church age followed by the millennium when his holy people will be ruling with Christ" than "the end of the Old Covenant age followed by nothing special that I know of." Nevertheless, I still have all options on the table because I see preterists and futurists both have their problem scriptures to explain, although preterists probably have fewer. In any case, God's punishments only occur during the ages and are always remedial and designed to bring wrongdoers to repentance and reconciliation eventually, so that Jesus will be successful in drawing all people to himself (John 12 : 32) and all people will eventually acknowledge that Jesus is Lord to the glory of God (Phil 2: 11) . If I haven't answered everything you had in mind with this email, please try me again. A question for you to tackle - body or bride? You all know I have studied eschatology for years. Whilst doing that I was confronted with the salvation question, which has side-tracked me for the last decade or so. But now, while writing about salvation, I am forced to look at eschatology again because I need to know HOW God is going to reconcile us all to him, and most of that is in the future. So I have a question for you to help me with. Are we the Body of Christ or the Bride of Christ? If we are the body, who is the bride of Christ? If we are the bride, who is the body of Christ? If we are both, I can't visually imagine what the marriage ceremony involving the bride and the bridegroom would actually look like - if the body of the bridegroom and the bride are the same "person". Could you picture that? If the body and bride are just alternate illustrations used at different times to convey different ideas about the church, then that's OK. But in trying to put together the various participants in the kingdom or tabernacles age (the next age), who is who and who is doing what, I think I need to separate the bride and groom, even though the two would become one after their marriage. Please have a go at this for me, and use Scriptures to show me what you are thinking.